The abolition movement is perhaps the most salient example of the struggle the United States has faced in its long and complex confrontation with the issue of race. In his final book, historian Paul Goodman, who died in 1995, presents a new and important interpretation of abolitionism. Goodman pays particular attention to the role that blacks played in the movement. In the half-century following the American Revolution, a sizable free black population emerged, the result of state-sponsored emancipation in the North and individual manumission in the slave states. At the same time, a white movement took shape, in the form of the American Colonization Society, that proposed to solve the slavery question by sending the emancipated blacks to Africa and making Liberia an American "colony." The resistance of northern free blacks was instrumental in exposing the racist ideology underlying colonization and inspiring early white abolitionists to attack slavery straight on. 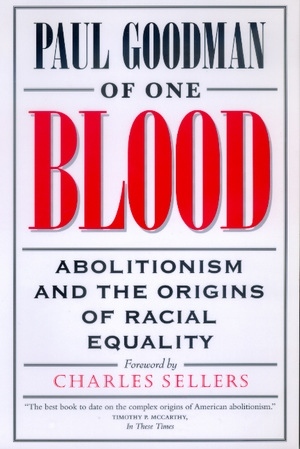 In a society suffused with racism, says Goodman, abolitionism stood apart by its embrace of racial equality as a Christian imperative. Goodman demonstrates that the abolitionist movement had a far broader social basis than was previously thought. Drawing on census and town records, his portraits of abolitionists reveal the many contributions of ordinary citizens, especially laborers and women long overshadowed by famous movement leaders. Paul Goodman's humane spirit informs these pages. His book is a scholarly legacy that will enrich the history of antebellum race and reform movements for years to come. Paul Goodman taught at the University of California, Davis, for over thirty years. His previous books include The Democratic-Republicans of Massachusetts: Politics in a Young Republic (1964) and Towards a Christian Republic: Anti-masonry and the Great Transition in New England, 1826-1836 (1988).